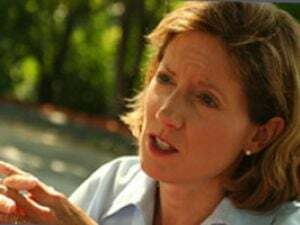 US Representative Vicky Hartzler (R-MO) refused to hold a press conference near a photo of unpopular President Barack Obama in the background. So she had it moved. Of course, the liberal media is going nuts over this. U.S. Rep. Vicky Hartzler visited Truman Memorial Veterans Hospital Tuesday and directed an aide to move a flag so a portrait of President Barack Obama would not be in the background of her television interviews. When Hartzler was finished with her tour, she found it difficult to locate a spot for talking with reporters. She suggested going in front of a large window but the television reporters on hand said that would send streaming light into their cameras. When I suggested standing by an American flag near the entrance, she halted because of another problem – it was immediately to the right of a picture of Obama. Hartzler is a Cass County Republican who represents the Fourth District, which includes Boone, Howard, Cooper, Randolph and Moniteau counties in Central Missouri. Elected in 2010. She has issued numerous official press releases denouncing Obama, the health care plan Republicans have labeled with his name and his proposals on tax and spending policies to control the federal deficit. She asked press aide Steve Walsh to move the flag away from Obama’s picture and when he was finished, she was ready to speak to reporters. When you have such an unpopular political leader this is what you focus on.